We very rarely cut hydrangeas for drying. To this day, after having had such checkered success in gardening over the years, I am still as thrilled as a beginner when plants actually grow and stand up straight and bloom in my garden. I can’t bear to pluck a bloom until it becomes an untidy mess. 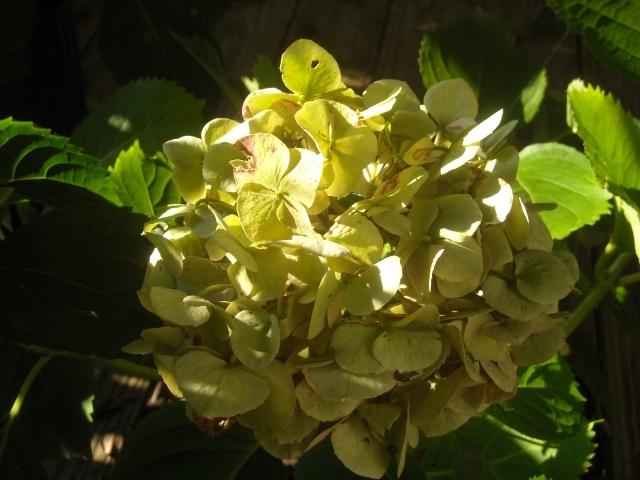 Besides, one of the joys of growing hydrangeas is watching their blossoms change color as summer moves along and they age. There is always some surprise around the corner. There’s are other reasons why we leave old blooms until springtime. The shabby chic poofs are shadowy reflections of summer, reminders that winter drab will soon give way to a world of color. Practically speaking, these lacey mantles may help protect the buds below from wind, frost, and predation by deer. 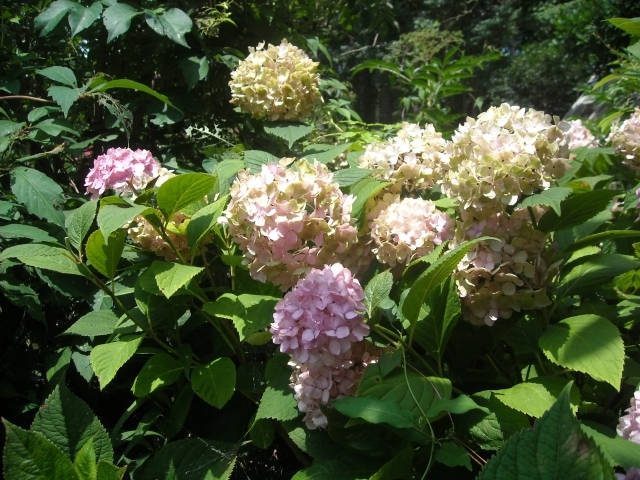 From a gardener’s point of view, sipping lemonade on a hot summer day is far more pleasurable than deadheading hydrangeas. Sometimes, beautiful dried blooms just happen. Lisa and Steven have a lovely bouquet with outstanding colors, a spontaneous gift from the garden that seems to repeat its giving annually with no effort on their part. Now that’s my style. So I’m not the one to come to for advice on drying hydrangeas. 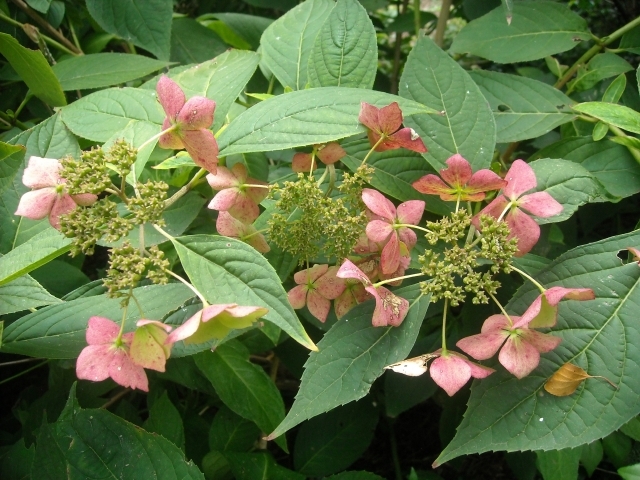 The suggestions below are the simplest we’ve seen, and they come from a friend who has had great success with drying hydrangeas. Cut flowers in the morning when moisture content is highest. Strip off the bottom leaves and place stems in 3 or 4 inches of hot water. It’s a good idea to plan this activity when the garden is not stressed from heat or drought. Once flowers are cut, avoid abrupt temperature changes. Don’t bring them into an air-conditioned interior immediately after cutting. 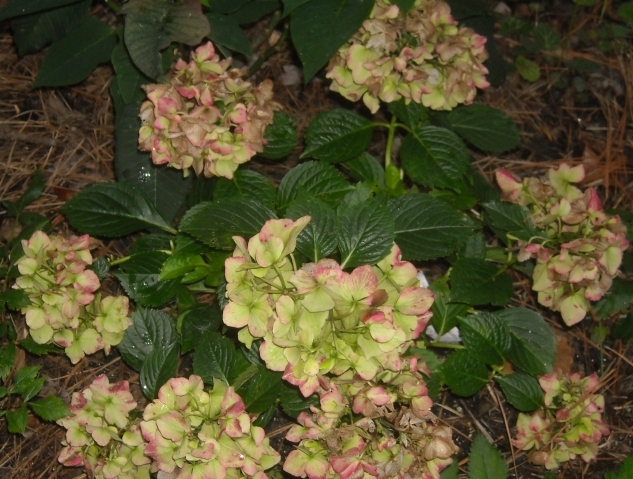 Find a shady spot to leave the hydrangeas in a bucket overnight or longer. 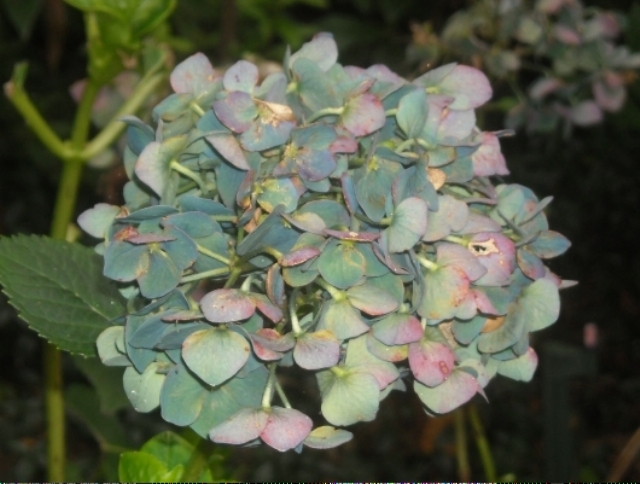 Spray fresh hydrangeas with Super Surface Sealer to maintain shape and color. Some people use hair spray instead. Allow the blooms to dry in the vase as the water evaporates. Keep them undisturbed in a dark place. Once in an arrangement, the blooms will fade after year or so, sooner if they receive direct sunlight. 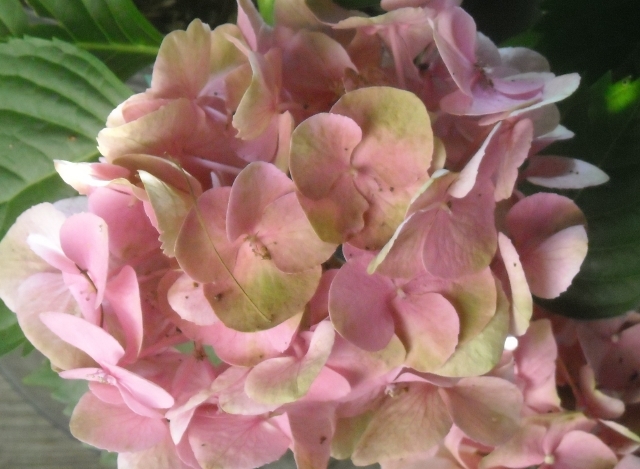 You can dry hydrangeas in any state of growth, from first flush to final fading. Timing the cutting and preserving of blooms as they change through the season will give you a variety of shades to combine in a bouquet. Happy drying. I’ll think of you while I am sipping my lemonade and watching the blooms grow old in my garden.